The EarPods with Remote and Mic (or any 3rd-party iPhone-compatible earphones) can be used with more than just the iPhone. These, and many of the thousands available from 3rd-parties, such as Sennheiser and Bose, can be purchased separately and used with any iPad and most iPods from 2008 onwards. But it isn’t just mobile devices that they can be used with, as the Mac has also been supporting iPhone-compatible earphones for several years. When the original iPhone was released back in 2007, the earphones it shipped with (known as the iPhone Stereo Headset) featured a microphone and a singular button, referred to as Playback Control. It wasn’t until the release of the iPhone 3GS that volume controls were added. 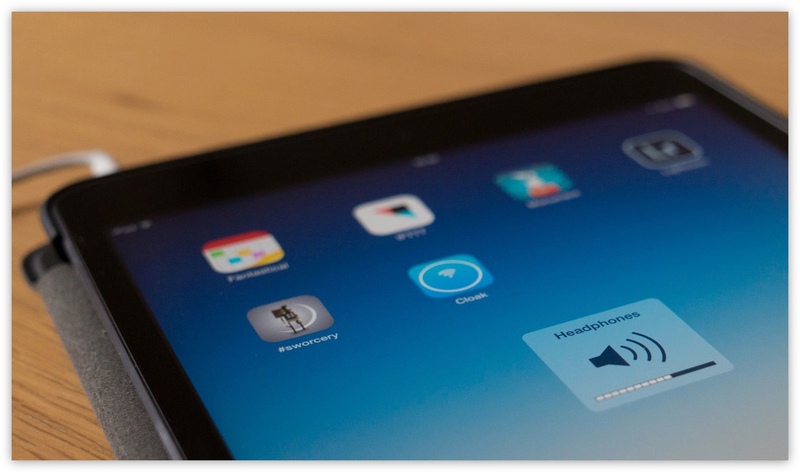 You can use a set of earphones with remote and mic with any iPad and iPod touch (with the exception of the iPod touch 1st generation), supporting all the same functions as the iPhone. You can invoke Siri/Voice Control by holding down the play/pause button, change the volume using the volume buttons, use the microphone in any app that support audio input, such as FaceTime or Skype. Not all iPods have been created equally and the remote and mic functionality supported by any iPod is dependant on it’s model and generation. To find out exactly which iPod models support what control and mic functionality, Apple has a comprehensive support document that tabulates every iPod, iPad and iPhone model and specifies whether each one supports, playback controls, volume controls or microphone. An often overlooked feature that the iPod classic and iPod nano (4th generation upwards) both support is the recording of voice memos, as detailed in this Apple support document, provided the iPod is used with a compatible set of earphones or relevant dock connector accessory. 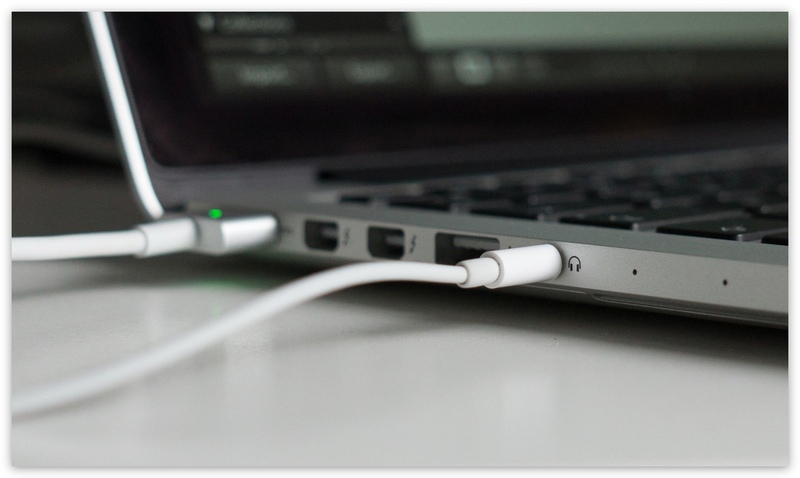 While Apple only make a passing mention of support for the Mac in a singular support document, Apple began including support for the earphones with remote and mic with the introduction of the aluminium MacBook and MacBook Pro range in 2008. 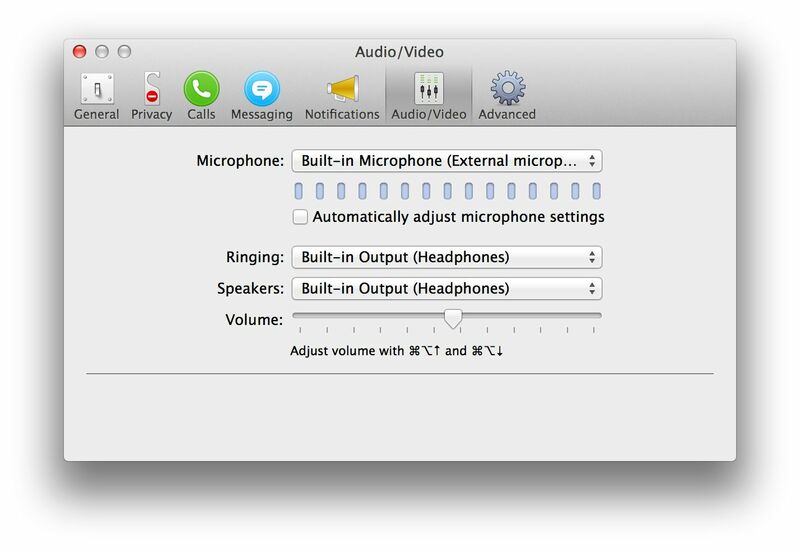 By plugging a set of earphones with remote and mic into the Mac’s headphone port, it can be used in much the same way as an iPhone. The microphone becomes the primary audio input device whilst the earphones become the output. As the support is on a system level, the volume controls work just like pressing the relevant function keys and any app that captures audio, such as Skype, can take advantage of the inline mic and provide better quality audio than the built-in microphone, reducing background noise. Apple’s trademark attention to detail really shows within iTunes and the Playback Control button even supports the same functions as iOS, with pressing to play/pause, double-pressing to skip or a triple-press to go back. I tend to find it’s a heck of a lot more convenient than switching back and forth between apps or using the media control keys. 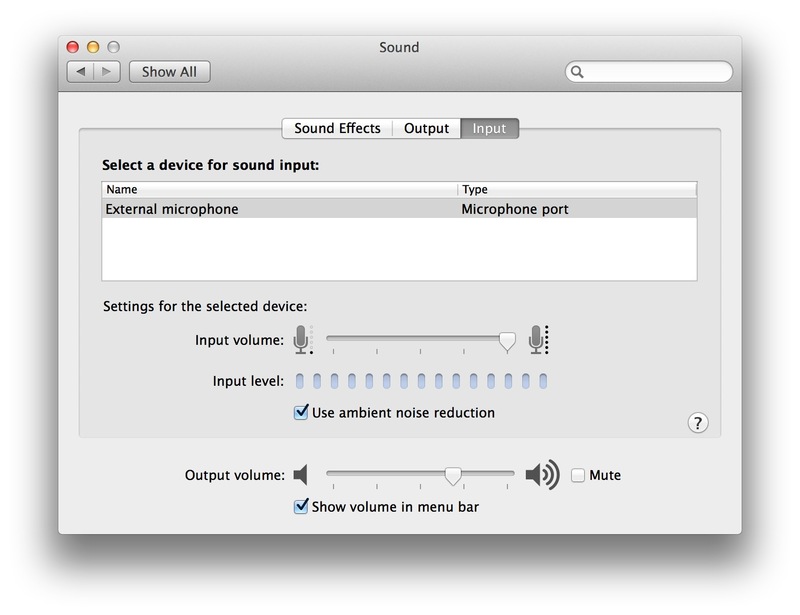 To determine if your Mac supports the use of these types of earphones, Apple’s relevant support document suggests checking the Sound preferences with a set plugged in. 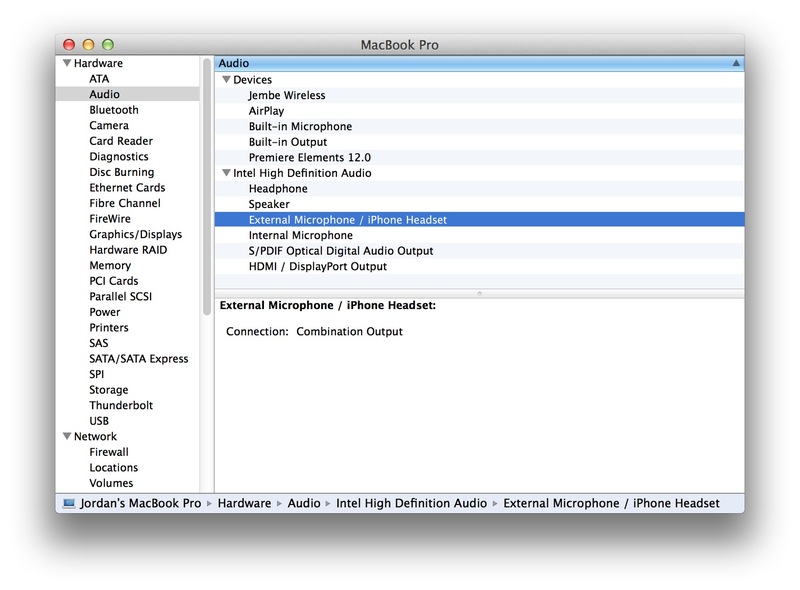 If “External Microphone” is listed as an input, you’re in luck. If you’d like to check if your Mac is compatible but don’t have a set of suitable earphones to hand, you can also check System Profiler and take a look under the Audio section. If you’re in the market for a new set of headphones to use with your Mac, it’s worth checking to see if they provide iPhone controls as you’ll be able to use them all the same. It wasn’t until I began researching for this article that I came across this very interesting support document from Apple about differences between their iPhone earphones sold in China and everywhere else in the world. Due to differences in regulations, China-only earphones are only compatible with the iPhone 4S, iPad 2 and above. As for iPod support, China-only earphones will only work with the current iPod nano and iPod touch. Many of us tend to look towards eBay for replacement earphones if they’ve been lost or damaged. As there are a great many sellers operating out of China, make sure to check the support document so you can tell the difference to avoid buying replacement earphones that might not be compatible.